I’ll just get this out of the way now. I want a pair of these. Never have I ever heard an IEM that’s just so fluid as this. I haven’t even looked at my Monster Turbine Pros for the time I’ve had this. Is that enough to get you to read on? Well, do it. The Hifiman RE272 is Hifiman’s new flagship IEM, improving on their previous RE262. How so? Well, I’m not at liberty to say because I don’t have a pair, and guessing never helps anyone. Sorry about that. I really would like to hear the RE262’s at some point, because $100 is a hefty sum for what may be minimal improvements. Regardless, the RE272 is a phenomenal IEM in and of itself when looked at as a whole, but it’s not all gumdrops and jellybeans. The RE272 comes in a gorgeous jewelry box-style box with HifiMAN printed in gold on the top. It’s probably the classiest IEM box I’ve seen. When the box is opened, the RE272’s are shown in their grey glory along with some cables. One is a balanced-stereo right angle converter, one is a phase switcher (if over-the-ear is your deal) and the other is a balanced extension cord. The extra tips are under the plastic casing that holds the RE272. I originally thought the RE272’s would have metal housings. I was especially sad when I realized they are in fact made of plastic. ¬No matter, I guess. They end up being lighter, but seem slightly less worth the $100 over the RE262 in a visual aspect. But it’s the sound that’s most important right? The nozzles are metal however, which is reassuring for those that break nozzles. The cable is quite nice—better than the Turbine Pros in my opinion. It’s thick and covered in a slick rubber while still being decently flexible. In addition, the cable is properly strained at the earpieces and plug. When I first tried the RE272’s, I noticed that nothing really stuck out to me. In fact, what impressed me most is that they did nothing wrong; it was an IEM that when I use it, I feel no need to analyze the music, just listen and get lost in it. The midrange is the prevalent part of the spectrum with the RE272’s. It’s nice and lush, while still showing nice timbre. The treble is slightly tipped down, but hardly recessed. There’s a slight dip on the lower treble that bugged me a tiny bit at times though. The bass was more impactful that I assumed it would be. It’s about the perfect amount to me. The bass never drowns out the midrange, and is never too light. However, although the amount (quantity) was perfect, I felt that they could get a lot deeper and more detailed. The thing that impressed me the most, however, is that these sound very spacious for a pair of IEM’s. They certainly were not as open as a pair of open headphones, or even some closed headphones, but they’re pretty awesome for IEM’s. After using them every day for a week and a half, I feel that I have a pretty good idea about how these sound. I’ve been using a NaNite N2 and EMU 0204 to use the RE272’s, and will write my observations using those two sources. I’ll be using a few different headphones to compare the RE272 against—the Etymotic ER4S, Beyerdynamic DT48, and Monster Copper to be specific. Hifiman says they’re their flagship, and consequently, they’ll be compared to the best I have in each respect. My benchmark for treble in IEM’s has been set by the Etymotics ER4S. While I don’t currently have one in my possession, most people know that they are one of the most clinical pairs of IEM’s ever created, even more than 20 years after its inception. This leads to treble that is quite cold, and details abound. Details are generally the product of accentuated treble. The RE272’s treble is definitely not what I’d call accentuated. Heck, I’d have a hard time even calling it neutral. The treble has a couple odd dips (most notably the lower treble) which, while detailed, give alto vocals a strange “off” quality to them. They’re too polite, even restrained. The extension is surprisingly good though considering how strange the treble is. While hotly debated, the Beyerdynamic DT48, in my opinion, has about the best midrange one can get under $500. On this self-proclaimed credence, the RE272 shall be compared to them. While they’re both somewhat midrange-forward, in actuality, their midranges have very different goals. The DT48, like the ER4S, is quite clinical—they don’t sugar coat the music in any dramatic ways (well, they sugar coat it upwards instead of downwards unlike most other modern products) and try to give it to you as faithfully to the original as possible. The RE272, in contrast, gives a very warm and musical midrange. It’s not really the most detailed I’ve heard, but it’s so wonderfully enveloping that I’m willing to look past that and just get lost in the music. I actually almost prefer the RE272 to the DT48 in a lot of music. People may have qualms with Monster, but it’s quite hard to deny that the Turbine series they make is at least decent sounding. 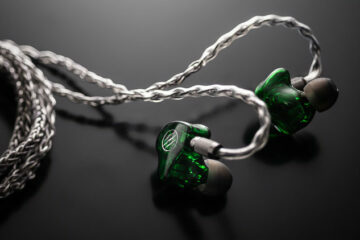 The Turbine Pro Coppers are the most “neutral” IEM in the line, but still have pretty nice bass. Their bass goes plenty deep while still being borderline-too much. The RE272 tones the bass down a good bit, while still retaining sufficient punch for all but hip hop. The RE272 is pretty transparent with tips too. The long double flanges give the most bass and most airy sound in my experience. As said before, the RE272 has an incredibly airy sounding for an IEM. The spacious sound the RE272 contributes a lot to its free flowing sound that I adore so much. Detail is a bit lacking in the grand scheme of things, but is quite respectable. They also like extra power. They sounded very boring out of my phone and came alive with some oomph. Someone asked me to briefly compare these to the Brainwavz B2, which I demoed a few months ago. I felt the B2 erred more on the ER4S side than the RE272’s sound sig. The B2’s are an admittedly bright IEM, which the RE272’s definitely are not. The B2’s treble was a bit more detailed, at the cost of mids that sounded a bit thin compared to the syrupy mids the RE272 has. Bass actually went deeper on the B2 if I recall correctly. The RE272 has better bass quality and quantity though. The B2 can’t compare in terms of soundstage. So what does an extra $80 give? Well, the RE272 has much better midrange and bass, which is pretty important to most people. But “better” is different to a lot of people. I prefer the realness in the RE272’s bass. Balanced armatures may be great, but for every BA I’ve tried, the bass was too machined. Dynamics always have had more realistic bass in my experience, and the RE272 doesn’t disappoint. And in terms of midrange, the RE272 has a kind of thick midrange that’s quite easy to like, but others may love the B2’s slightly aggressive midrange. And treble is a tossup too. The RE272’s are a bit lax in treble with toned down highs whereas the B2’s treble was a bit too much for me. And that’s totally cool. I’m not really a treblehead, but there are thousands of people that are. If the reader of this is a treblehead, then the RE272 probably won’t be your cup of tea. So it’s been established that I like the RE272 a lot. A lot a lot. They have the type of sound that’s easy to listen to for all day (And I have in fact! 12 hours straight) with no fatigue at all. Sure, they don’t do anything outwardly fantabulously, but the package as a whole sounds wonderful. And here’s the million dollar question. Will I buy one? Actually…I originally signed up to see if the RE262 would be good enough for me (I figured I’d subtract some detail and refinement, but if the RE272’s were good enough, I’d wait another month or so to buy them), but ironically, listening to the RE272 makes me want more. Now, if the RE272’s were priced at $200, I’d surely get a pair. At $250, it’s “only” another $70 or so away from a Sony EX1000, which also has detachable cables. 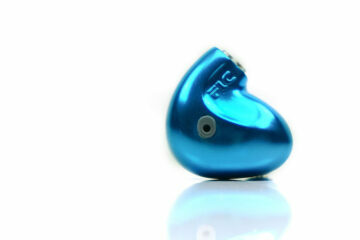 But if you can’t spare the extra $70, the RE272 ends up being a wonderful IEM. But as all things upper end go, every upgrade is slight. Your mileage may vary. Heck, the difference between the RE262 and RE272 may well be unnoticeable. Is RE-262 great for Pop Rock/R&B? Is the Vsonic GR07 more pleasing/relaxing to listen to thant RE-262? I don’t listen to rock, maybe my noisiest tracks are Katy Perry and Kesha. R&B, Acoustic, Indie other than that. I sadly have not heard a GR07, sorry! I’ve been working on fix that though.